What is an Opendime? Is it the best thing since sliced bread? Or is it just a gimmick? In this review, I outline the basics of what the Opendime is and describe my hands-on impression of it. I’ve put together a guide which walks through how to setup, use, and spend from the Opendime. You can find that here. The Opendime ‘Bitcoin Stick’ is a small USB device which can be loaded up with Bitcoin (BTC) without revealing the private key which is necessary to spend the funds. It doesn’t reveal this private key to anyone, including you, until a chip on the USB is popped out. This means you could plug the stick into a malware-riddled PC and your funds would still be safe. It’s essentially a paper Bitcoin (BTC) wallet, but without any of the hassle. The Opendime is sold in packs of three for £33 (including shipping) in the UK by MyHardwareWallet (registered reseller). You can buy this from the official website, but you’ll get stung on customs charges when it enters the country as it’s delivered from the US. Because each unit of Opendime is so cheap, you can use them just like cash. Load them up with Bitcoin (BTC) and trade them for something else without requiring an on-chain transaction (which, right now, are probably more expensive than buying an Opendime). Secure storage of Bitcoin (BTC) for short or long-term. Hand it over when exchanging Bitcoin (BTC) for cash. At only £11 per unit (£33 per 3-pack), these are cheap and disposable Bitcoin (BTC) wallets which are simple to setup and easy to use. The Opendime functions just like a normal USB drive, so it’s compatible with any computer, laptop, or phone. Despite their barebones appearance, they’re actually deceptively durable too. I could only identify one significant disadvantage, which was that you can’t back up the funds. This is because it doesn’t reveal the private keys to anyone, including yourself, prior to the device being unsealed. This means that If you lose or damage a stick which is loaded with Bitcoin (BTC), it’s game over – the funds are lost to the abyss. Because of this, I wouldn’t be happy storing large amounts of Bitcoin (BTC) on it. I’d only be comfortable storing smaller amounts (e.g., up to £250) on a single unit. I think the Opendime is awesome. 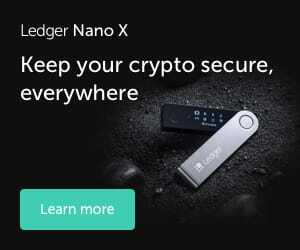 It isn’t trying to compete with the Ledger Nano S or Trezor though – it’s playing a completely different game. It’s straight out of a cyberpunk novel (‘credit sticks’) and allows you to use bitcoin without having to make an on-chain transaction (i.e., just like cash). However, because the unit doesn’t show the private key to anyone (which is great), there’s no way to back them up (not so great). In my opinion, this only makes the Opendime suitable for storing smaller amounts (i.e., any loss you could shrug off) of bitcoin. Because you can’t backup the private key, I’d be hesitant to recommend this to a complete beginner intending to store all of their funds on it. Sure, it’s better than leaving your bitcoin stored on an exchange – but not the best alternative. In my opinion, these devices are best suited for those who already have familiarity with cryptocurrencies and want another little device to add to their toolbelt. What do you think of the Opendime? Have you tried it yourself? Let me know in the comments. Just so you know, I was sent a free pack of Opendime by Coinkite to review. I’ve held nothing back in this review – it’s my honest impression of the product. There’s not a snowball’s chance in Hades that I would ever try to put even a fraction of a BTC on this device. It worked just fine at first, put it in my safe, plugged it in later to move BTC to it and the hardware failed. I would be out a whole Bitcoin if I had even been able to successfully transfer to it. CoinKite also made it clear through their response to me that this was my problem and not there’s because they don’t stand behind their inferior and cheaply-produced product. There are no guarantees with this inadequate and poorly engineered device. Please use caution with the OpenDime as you too may be out a fraction of a Bitcoin or multiple ones. Nay. I shall pass. Please use caution with this device. Thanks for sharing your experience, Jonsey. I do think these devices are an awesome idea, but they absolutely shouldn’t be used for long-term storage of significant amounts IMHO. If you want secure long-term bitcoin storage, you need some kind of redundancy – which this absolutely doesn’t offer (by design). If you’re looking for alternatives, check out my post of the best hardware wallets.